Earlier this year, BMW announced it was killing the 6-Series line, replacing it with the more upscale, and upmarket, 8-Series. To commemorate the new line, BMW is heading to Le Mans with the M8 GTE. There is no better way to herald in a new line than taking it to the race track. The BMW M8 GTE is powered by a bi-turbo V8. The GTE class limits displacement to 4.0-liter with more than 500 hp Power is sent to the rear wheels through a six-speed sequential gearbox. 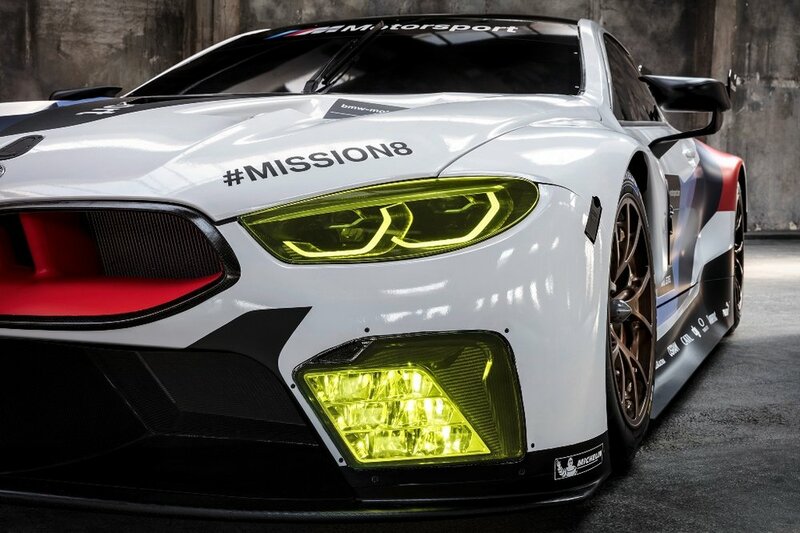 The M8 GTE will make its racing debut at the 24 Hours of Daytona this January. This is our first look at something production worthy for the 8-Series, and boy does it look good So far, we’ve only seen a concept version of the upcoming 8-Series. We expect the production version of the 8-Series to be much more pedestrian, though it should look as stunning as the 6-Series it is replacing. The race car version has massive kidney bean openings in the grille and an equally massive wing out back. It looks like a great evolution of BMW design. The road-going M8 version should be powered by BMW’s 4.4-liter V8 engine, powering all four wheels through an eight-speed automatic transmission. We can’t wait to see the BMW M8 GTE on the track. We can’t wait to see the BMW M8 GTE on the track.